It’s nearly impossible for most companies to conduct business without some form of IT in place. Computers and servers don’t appear on their own and they certainly don’t fix themselves when things go awry. Today, many businesses are recognizing the benefits of engaging experts in their IT operations. While a typical start-up may be limited by their cash flow, they can often experience the growing pains of building and maintaining their systems on their own. The key to digital success for businesses of any size or stage is to hire IT professionals for both managed and professional services. What is an IT Managed Service Provider (MSP)? An MSP is an experienced team of experiences who provide IT services to businesses by delivering ongoing monitoring and management of client applications and IT infrastructures remotely. Small to mid-sized businesses often outsource IT operations to ensure all their business systems and networks remain running. Instead of waiting for an issue to arise, an MSP ensures a client’s IT can avoid most issues in the first place by taking a proactive approach. It’s expensive to employ competent IT professionals to run your operations. Most small to medium sized businesses are finding that outsourcing their IT services is not only cutting down on cost but providing a more predictable monthly budget. When you select an MSP, those specialized professionals are 100% dedicated to your IT systems. These professionals offer a quick, timely and proactive response in the case your IT network has an issue or fails. When working with an MSP, you have the peace of mind in knowing they come prepared. The experts can deploy solutions for your IT issues quicker by saving you a lot of time and money. By outsourcing your IT, you’re opening your business up to the option of using better equipment such as, more powerful servers. The teams put in place when using an MSP are highly qualified and posses a wide range of IT experience. Your business is promised the best service possibly provided without having to do the hard work of recruiting. Choosing to partner with an MSP lets you focus on what’s most important – growing your business. By having your IT infastructure handled by experts, your core competencies and strategies can finally become your top priority. Whether your venture is new and you want to start off on the right foot, or you believe your business needs a boost in productivity, our team at ECMSI is here to help! If you have any questions about how an MSP can help your business please feel free to contact us at 330.750.1428 or visit our website here! There are a multitude of benefits in using a documentation management system, but with those benefits come challenges such as compliance issues. It’s becoming more complicated for companies to ensure that their documentation management systems follow industry regulations. Think your company might have significant gaps in your documentation management practices? Here are four (4) signs that your company needs assistance. If your document management system is an open book to all, you’re risking confidential information in the wrong hands. 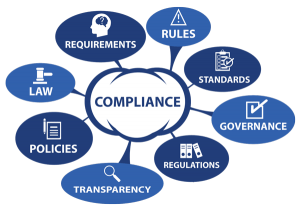 The key to maintaining the necessary internal controls by setting appropriate levels of access to your electronic documents. It’s critical that your sensitive files are not accessible by everyone. These issues not only create confusion as to who accessed records and when but also put your company at risk for potential altered or lost data. An audit trail allows your organization and customers to have a sense of assurance around access to data. It puts everyone’s mind at ease when there is a detail record of who accessed, modified, moved or deleted records. The purpose of audit trails is to safeguard the integrity of the information stored and the processes around data accessed. If your employees don’t know or recognize the policies and procedures of your organization, you’re running the risk of open data and creating loopholes where anyone can obtain and even leak sensitive documents. This opens your company up to legal issues without an repercussion for the person who accessed the documents due to no formal policies or procedures in place. At ECMSI, we’re one of the most trusted managed service providers in the area, we manage your IT needs, allowing you to focus on your business. Our Network Security Suite is an all-encompassing service that provides you with peace of mind, knowing that you are stable, secure and standardized. Call us today to find out more: 330-750-1428 ECMSI is here to make IT easy! Are You Sure Your Data is Being Backed Up? 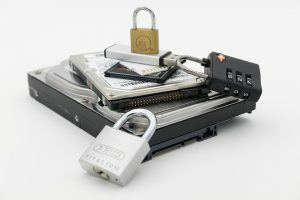 Most people don’t think about data backup until they’ve lost valuable information that could be impossible to recreate. Then it’s critical and everyone wants to know now when the server will be running. IT professionals, for the most part, install sound backup technology and let the process run until they get an error in the daily log. Then they take a look and correct. However, this is incomplete and gives a false sense of security. Is the right data still protected as your needs change? Don’t assume data backup is someone else’s job. It’s not a question of if but when you will lose data. If you don’t have a sound business continuity solution in place, then be prepared to lose your most critical data. Accounting, customer information, trade secrets, and more can all be lost via many avenues including hardware failure, malware, viruses and even simple mistakes. Here are some steps to take to ensure your critical data is protected. Make sure your IT department has it covered!! Let’s say you are satisfied that you have competent professionals safeguarding your data. But when was the last time it was tested in a real world environment? Do a dry run and ask IT to restore the most recent version of a document as well as another copy a few days old so you can see the changes you made to the file. Can they do it? How quickly? Get a great, documented and tested plan developed by professionals that addresses the needs of the business. One of the primary questions is to determine your acceptable mean time to recover? Can IT recover a database running your customer relationship software in minutes? Have they done a recent test restore for all critical servers? Ask yourself honestly how long you can be without certain critical IT functions while the restore is happening. Constantly test everything and review the results You know business continuity is critical and demands your IT staff pay close attention to this crucial aspect. Here’s one more question: Who is determining what data gets backed up? IT pros are great at their jobs, but they may not know which data should be classified as critical. Management should be involved in the decisions regarding critical data. Are all departments protected? What about critical PC’s? A one hour quarterly meeting to review and provide your IT team direction can prevent disaster. It takes time to do it right, but should you have a disaster, you’ll be glad you planned ahead. Are you sure your data and processes are protected? Check the status of your current backup solution. If you’re not satisfied or would like to learn more about our full solutions , give us a call at 330-750-1428. ECMSI is here to make IT easy! Think about it: You’re a business owner. Your company is growing. Your operations are beginning to expand and you find yourself struggling with the growing pains. You decide it’s time to offload your stress and find that there’s an easy way to handle your IT issues and get back on the speeding business track. Below are Five (5) Reasons Why You Should Utilize an IT Service Desk! No one has time for the aches and pains of IT issues. Business is booming – you and your staff are busy. When your team can’t focus on their work due to pressing IT issues – are they being productive or derailing your potential growth? An IT service desk gives your team the opportunity to maintain focus on the success of your business and takes the responsibility of your IT issues. Again, you’re busy. But did you know you’re losing money the moment one of your employees stops focusing on their work to deal with an IT issue? After an employee tries to fix the issue, they’ve lost time on their responsibilities and trying to regain their focus. That time would have better been used to continue the momentum of your company. All these inefficiencies add up. Imagine the potential growth your team could have facilitated if you had the right resources on call. Temporary fixes do not work! Many small businesses don’t have an IT expect on staff. This creates a challenge for your other staff members who need to handle these IT issues as they arise. Even if these employees can work around the problem, they may have no idea how to work with technology. This runs the risk of making things worse! You have the opportunity to solve these problems the first time by utilizing a skilled IT service desk. There’s real monetary savings in outsourcing your IT service desk. When you outsource to an IT service desk, you’re opening your business up to a quality service provider who will address your issues strategically to help you meet your business needs and goals. They’re not just going to fix your issue this time. They track your network error causing the issues and ensure it doesn’t happen again. You don’t have to run into the same issues constantly. An IT service desk can provide solutions to better equip your team now and in the future. It’s simply not practical for a small business to staff and internal IT service desk, especially if you’re needing 24/7 support. If you have your own internal IT, you’re limited to your resources by the business hours they work. When you outsource your IT service desk, they are available all day, everyday. If you’re an small business owner and you’re serious about getting the IT service desk support you need when you need it, ECMSI is ready to help. Our service desk support is unparalleled. This is one of those business tools that can truly set you apart from the competition. If you’re ready to focus on growing your business and alleviate the stress of IT, contact ECMSI today. Trusting another company to look over your IT infrastructure can be a very difficult thing to do. Today’s business landscape requires organizations to be increasingly dependent on the strength of their cyber security and IT team to hold the fort down and keep the company moving day to day. But technology and cyber security is an industry that is constantly evolving, and the challenges businesses are facing include how to keep up and finding out what the right questions are to ask when choosing an IT partner. The following guidelines can help lead business owners in the right direction. 1. Can They Prove Themselves? Many MSP’s (managed service providers) claim that they are the premier, number one or most experienced in your area, but can they prove it? A truly premier MSP should be willing to show you their operations and invite you to their headquarters to see just what resources they have and how they plan to achieve your IT goals. This level of transparency should come with any MSP that wants your business. If you are willing to trust them with your company data, they should be at least able to show you their operations and make you familiar with their staff of IT professionals that will be handling your infrastructure. Successful experts should also reflect a proven track record for dealing with IT issues, so do your research! Look around to find testimonials from other companies that are dealing with this MSP, do they have nice things to say? MSP’s that have open client testimonials and good reviews should be on top of your list for a potential partnership. 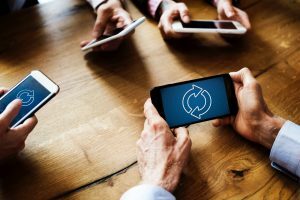 Your business is unlike any other, even others in your industry do not have the exact employees with the same exact processes, so why should your technology services be any different? Each organization’s pain points are unique and require customized solutions. If any other MSP is not willing to approach your company’s technology requirements with a tailored technique and a process that focuses on your individual need, then they are not providing the highest level of value. Continually identifying incidents, potential threats and risks in a network infrastructure should be a required task for all managed service providers. However, just identifying threats isn’t enough. Working to fix identified holes in an organizations security strategy requires a huge level of focused analysis and evaluation. An MSP should not only be able to fix your problems, but they should be able to do so within a reasonable amount of time. Downtime to an organization is critical, no one can afford for their operations to be put to a screeching halt, especially because of some technical issues. Find that MSP that will guarantee you they will be there when needed and within the time you need them to be. The role of a good MSP is to work cooperatively with a company’s top executives to create a strategy that is relevant and comprehensible throughout the business. They should form a partnership with you and your team in order to help the business grow. A top expert should be able to take confusing topics and make them clear. They should understand that one size does not fit all and a cookie cutter approach to IT does not work anymore. Finally, a good MSP should be able to narrow down the issues to create a cost-effective solution for your organization. If you have any questions regarding MSP’s and how one can help your business, please feel free to give us a call at 330-750-1428 ECMSI is here to make IT easy! If you’re reading this, there is a pretty good chance you’re concerned about your businesses IT network. We wish we could assure you that your network is fine, but we talk to business owners every day who are dealing with network issues. Sometime these issues are minor, but other times they bring business to a dead stop. Either way, these network issues cause some downtime, which can put a huge hole in business productivity. Downtime causes a whole slue of problems in an organization. When your technology is offline, your staff can’t work. Your customers can’t get the support or service they need. You may not even have phone or email service. The end conclusion? In an article by CNN, they reported that the average cost for IT network downtime for small businesses dealing with ransomware attacks exceeds $100,000. This form of cyber attacks is also just one of the ways a network can go down. Basic hardware and software maintenance is extremely critical. For the most part, technology gives you ample warning that your IT network is in trouble. The trick is knowing what warning signs to look for and understand how important it is to heed those warnings. 6 IT network warning signs. The trick to understanding network signs is knowing what to look for. Once you know what to look for, IT network warning signs are not hard to identify. In fact, they tend to stand out. If you’re dealing with any of the following red flags, its probably time to take a closer look at your IT network- or call on the help of a reliable IT consultant to get your network back up to speed. Let’s say the employees at your office use a shared drive for big files—something like image files. Normally, you can access the shared drive in a matter of a few seconds. Downloading even a large file rarely takes much longer. And then one day, it takes four times as long. Changes in IT network speed are often indications of some kind of problem. The server may have an issue, or you may need to tend to your network cabling. It could even be your Wi-Fi connectivity. The one thing you shouldn’t do is just suffer through it. Slow network speeds are typically a symptom of some other issue. 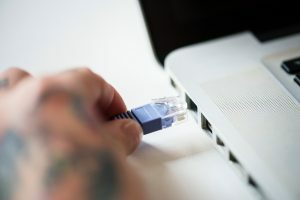 Speaking of Wi-Fi, if you find your connection dropping on a regular basis, there is likely an issue behind it. Wi-Fi technology is well past the testing phase. Once your wireless IT network is set up and configured, it should be reasonably stable. If you’re in doubt, ask around. When others in your office are experiencing the same kind of wireless drops, that’s not a coincidence. It means something’s wrong. 3. Reboot. . .Then Reboot Again..
One of the most common troubleshooting techniques is pretty simple, and we have all done it before, the reboot. But rebooting a computer (or server) can fix a lot of problems. Similarly, if you’re having issues with a specific application, closing it and reopening it often clears things up. When you restart (your computer, server or an application) the code can start from square one and hopefully it won’t encounter the same problem again. But you shouldn’t have to restart constantly. If you do, that’s a sign of an ongoing problem, not a one-time issue. A common hardware failure warning sign has to do with the temperature. Most IT network hardware produces heat. That’s why computers have fans—to help disperse that heat and keep the delicate inner workings at a comfortable temperature. If there’s too much heat, it can damage hardware. Here’s what to look (and listen) for. If your computer’s fan is running on high all day, that’s a bad sign. If your laptop or desktop is physically hot to the touch, that, too, is not a good sign. And if any piece of hardware shuts down due to heat, pay attention. It’s much more convenient to replace hardware before it fails than to scramble for a replacement after it had a meltdown. Something about the IT network isn’t working properly. Maybe there’s an ongoing error message or the printer fails every other time someone tries to print something or one of the applications everyone relies on is clearly outdated. But instead of addressing the issue, the staff just work around it. If your office has some kind of elaborate plan B to deal with an IT network issue, it’s time to stop accommodating the inconvenience. Rather than changing how you do your job, take care of the underlying issue with your IT network—whether that’s a needed upgrade, routine maintenance or some other fix. 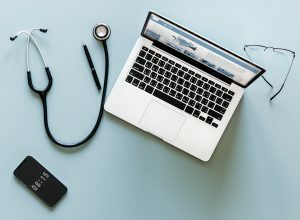 If you’ve already experienced data loss, hardware failure or a cybersecurity breach, then it’s well past time to assess the health of your IT network. Any of these three issues means you’ve already suffered through real impact to your business. You’ve likely incurred downtime, lost opportunity, and maybe even a hit to your reputation. Don’t assume lightning won’t strike twice. You’re not in the clear until the underlying problem has been addressed. Reevaluate the state of your hardware, ramp up your cyber security, and be sure your business is protected and prepared for the future. There are times when IT network trouble happens out of the clear blue. But the vast majority of the time you can see it coming—if you know where to look. One of the best ways to proactively maintain your IT network is to keep an eye out for these warning signs. If there’s a potential issue, address it before it has the chance to slow your business down. For any information on how to protect your IT environment feel free to contact us at 330-750-9412. Our goal at ECMSI is to get rid of all the IT headaches to let you focus on growing your business. Today, for every business to run efficiently and keep up with the competition, they must utilize various technologies such as databases, CRM systems and require a good online presence to be seen. In recent years, small business (companies with 250 employees or less) have increasingly been the targets to hackers and cyber attacks. Many of these schemes directly target employees through phishing emails. Cyber attacks and data breaches come in many different types but all have one goal, and that is to take sensitive information and utilize it for some sort of gain or profit all while ruining the companies infrastructure. So what are the most necessary things a business must do to keep their IT safe? Investing the money in Antivirus can go a long way. These programs are meant to catch any sort of malware entering your systems and stopping it at the gate before it spreads. Firewalls are a network security device that monitors incoming and outgoing network traffic and decides whether to allow or block specific traffic based on a set of security rules. Most issues stem from unaware employees falling victim to phishing emails, in fact an untrained employee is the most effective way for a cyber attack to come through. Education your team consistently and making sure they can spot hacking attempts is crucial to your business. Make sure your passwords are strong! 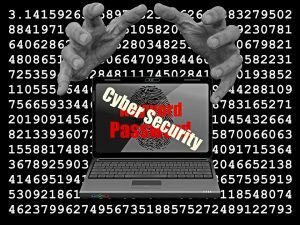 Making passwords that are easy to guess and typical will only hurt your business, an account can easily be compromised if your password is your birthday or “password123”. Using a combination of uppercase, lowercase letters and special characters will ensure a higher security level. Encrypting your emails, or other messages that get sent out will ensure that your information is being sent securely. Without encryption a hacker will be able to see and intercept all data being sent. Patch your operating system and software regularly. “Patch” or Update your operating system and software regular. Hackers are always on the lookout for weaknesses within programs and once they are discovered they can gain access to your files. Keeping your system updated ensures that these weaknesses or loopholes are “patched” up and a virus that attempts to enter through a loophole will not be able to go through. Many of these small businesses do not have the personnel, expertise or time to put in their IT security and that is when they are put at a high risk for their business or employee data to be compromised. These proactive security steps are an absolute necessity to any modern day business. Keeping those 6 items a priority in your business network established a strong foundation for your IT infrastructure that will make sure your business is running smoothly and keeps your team productive. Cyber Crime can be extremely expensive to companies who sadly fall victim. Cyber crime not only has an upfront cost to fix, but many times cyber crime can affect the end consumer of a business. A cyber crime can ruin a companies credibility and relationship with their end consumers. When this happens, the business is not just faced with the cost of fixing the issue but also how this can effect their future endeavors. So howmuch are these malicious attacks costing the various businesses and corporations around the planet? The study then separated the cost by industry and country, it found that the most hard hit firms were in the financial and energy industry. Financial services suffered a loss of $18 million while energy followed closely at $17 million. When the study looked at various numbers for different countries. It found that US firms incurred the highest average cost of any other country at a whopping $21 million with the lowest being Australia at $5 million. The statistics also showed that on average each firm suffered about 130 breaches/network or system infiltration’s each year. The most interesting find in the article is how long it took for these firms to recover from various attacks. The study stated that attacks by malicious insiders took an average of 50 days to resolve while ransomware attacks took over 23 days. The time being spent to fix these issues has caused a huge ramp up in prevention for cyber attacks. Companies are now adopting a more dynamic security strategy that builds resilience from the inside out instead of only focusing on a border wall that will not let anything in. 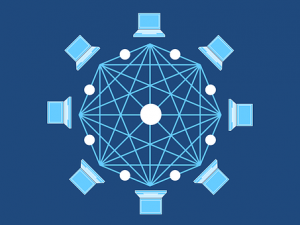 It is becoming increasingly important for business of all sizes and industries to prepare and be pro-active about their business and IT network. A cyber security problem is one that no company can afford to have when there are many other important and critical business tasks that need to be done. The director of Accenture Security stated that security investments in the right areas can make a difference in reducing costs and preventing potential hazards. Will You Be Ready When Ransomware Attacks? As a MSP, we’re all too familiar with frantic calls from prospects whose hardware have been infected with Ransomware. You can hear the panic in their voices as they ask for immediate help. Though they want us to rush in like the A-Team of IT and fix their problems, we always make sure we have a conversation first. The reason being? We want the client educated on the probable outcome before they spend any money on ransomware removal. We’ll start by giving you some perspective. Ransomware has been on the rise. In Q1 of 2016 alone, there was an increase in ransomware attacks by 165 percent. And cyber security news this year is abuzz with reports of businesses falling prey to these malicious threats. Hospitals and other healthcare institutions have been attacked and computer systems have been held for ransom to the sum of $17,000 or more. So before you have to pursue ransomware removal, take care of your backup solutions. At ECMSI, we can provide you with business continuity that prevents you from ever losing your livelihood to ransomware attacks, system failures, or even natural disasters. Check out our backup solutions and prevent your company from being held hostage by circumstances outside your control. Every business owner wants to cut costs. But before you go on a communication costs cutting spree, consider this. There are good ways to save . . . and some not-so-good ways. If you do a quick Google search for ways to trim SMB communication costs, you’ll find plenty of articles. But that’s part of the problem. An alarming number of them suggest cost-cutting strategies that are just plain stupid. Here are some of our favorite bad ideas. Skype is free. Why not ditch your phone system and just use Skype? We’re not slamming Skype. It’s a great communications platform, and it does have some legitimate business applications. But it’s hardly an all-in-one communications solution. Even Microsoft, the software giant behind Skype, doesn’t tout it as a replacement for business phone systems. Stop making calls of any kind. Like Skype, email is more or less free and just about everyone has it. Why not use that for the majority of your communications? There are a couple of major flaws with this suggestion. First, customers will still expect to be able to call you. Second, text-based communication isn’t nearly as powerful (or convenient) as making a call. While great for quick, straightforward communication, email will never replace voice conversations. Go all or nothing on mobile. We’ve seen both ends of the spectrum here. Some advocate bumping employee cell phone plans to the max and pushing people to be available at all hours. Others say ditch company mobile plans and do away with company-provided devices. Both are hard hits to employee morale, and neither does enough to lower communication costs to be worth the effort. Once again, minimal savings with a whole bunch of new headaches. There are far more effective ways to lower communication costs. That said, there’s no magic bullet. Each of these will take a little work on your part. But unlike the bad advice above, these tips will actually make a difference in your bottom line. 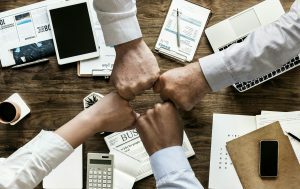 “Businesses lose an average of $11,000 per employee every year due to ineffective communications and collaboration.” That’s the teaser headline from a recent report published by Mitel. Here’s the takeaway in a nutshell. When it comes to business communication, more isn’t necessarily better. Instead of rolling out every available option, take the time to be strategic. Eliminate solutions that don’t fit and make sure everyone has adequate training in the solutions that do work. You’ll cut communication costs and improve overall operational efficiency. Take advantage of video conferencing. Video conferencing isn’t a fad. On the contrary, it’s a powerful communications tool with several impressive benefits. We’ll highlight just two of them. Video conferencing makes dynamic collaboration possible, even if team members are on the other side of the world. You still get all the benefits of rich communication – tone of voice, facial expression, the ability to share visuals – without having to wait for a literal face-to-face meeting. And it saves money. Video calls are cheaper than plane tickets and delays. Don’t shy away from social media. Social media isn’t the best communication tool for one-on-one customer communication. But if you’d like to communicate to your entire customer base, social media is a quick, easy and extremely inexpensive option. Plus, if you already have a social media presence it’s basically free. Not only that, but most of your customers are already invested in social media. You’re meeting them on their turf. They’ll appreciate that. Our final tip is the most important one. Nothing will uncover as many opportunities to lower communication costs as a full audit of your communication expenses. Of course, few business leaders have the time or industry experience to effectively analyze their own phone bill. You’ll likely need some help with this one. That’s where ECMSI comes into play. We’ve helped clients save thousands per month, and we’re confident we can help you lower your communication costs, as well. If you’re serious about lowering communication costs, let us help. Give us a call today to get your free phone bill analysis. We promise we’ll make it worth your while.